with brain injuries in Wales. Did you know that there is no paediatric rehabilitation centre anywhere in Wales or the South West? Kyle’s Goal has been established to provide this desperately needed service for Children & Young adults. Ultimately to provide a permanent solution for this gap in services. 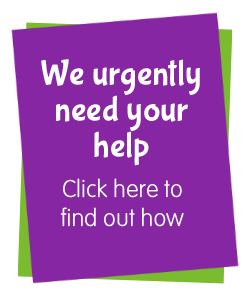 With your help, we need to raise £7 million to provide a permanent service. 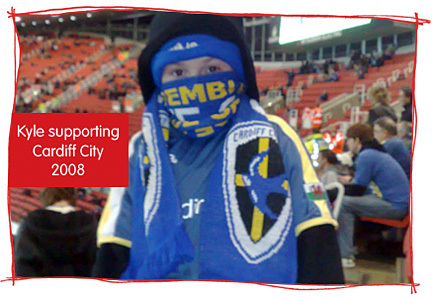 We are now nearly 8 years on from Kyle’s injury it’s been a tough hard road for Kyle, the family and people around us. We have had to fight to get services for him like care, therapies, and a school placement. There is a wide range of services and support involved in Kyle’s life making coordinating everything a logistical nightmare. What Kyle is teaching us through his journey is not just how important it is for young people in Kyle’s situation to get rehabilitative support but also how important it is for Kyle and all of those who love and care about him to be part of an holistic, person centred and positive endeavour to maximise his potential. Who wouldn’t want that for their child? After a few recent sharp reminders of the importance of an holistic approach, services that are person and family centred and support that shares and maximises choice and control we have decided to re-energise the campaign to create the rehabilitative wrap around service for children and young adults that we knew immediately Kyle came home to us he was going to need. We know now this need is lifelong, not just for Kyle but for any young person in his situation. That means that from the moment you read this post we want to re-enlist your help to launch a campaign ten times stronger than the last to raise £7m. Yes, in case you think you didn’t read that right, we are setting out to raise £7m. The £7m is to purpose build a centre that would accommodate both inpatient and outpatient brain injury rehabilitation, give access to hydrotherapy, physiotherapy, speech and language therapy, occupational therapy, psychology support and support for families. All working together with a health and social care team trained to beacon standard in the delivery of person centred, young person friendly, therapy, care and support. We’ve done loads of legwork since we were last really active in this campaign. That means we have detailed plans for the building, a proposed site and some tentative leads for the provision of capital funding and we have the backing of Headway the UK’s most prominent brain injury Charity. 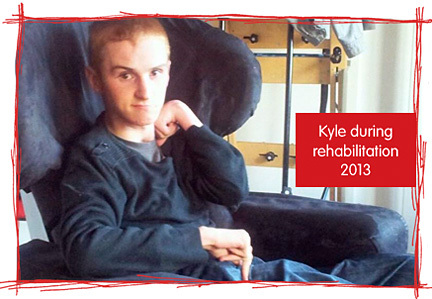 We’ve used the Kyle’s Goal Trust as the vehicle for fundraising and all of the funds raised between 2010 – 2017 were vital in supporting us to meet the legal costs of getting adequate care support for Kyle. Thank you to everyone who helped with that. Kyle would be in a very different place without you. That work goes on and Kyle’s Goal was officially registered as a Charity, from 16th March 2017 with a Board of 10 Trustees to increase the intensity of our fundraising efforts.